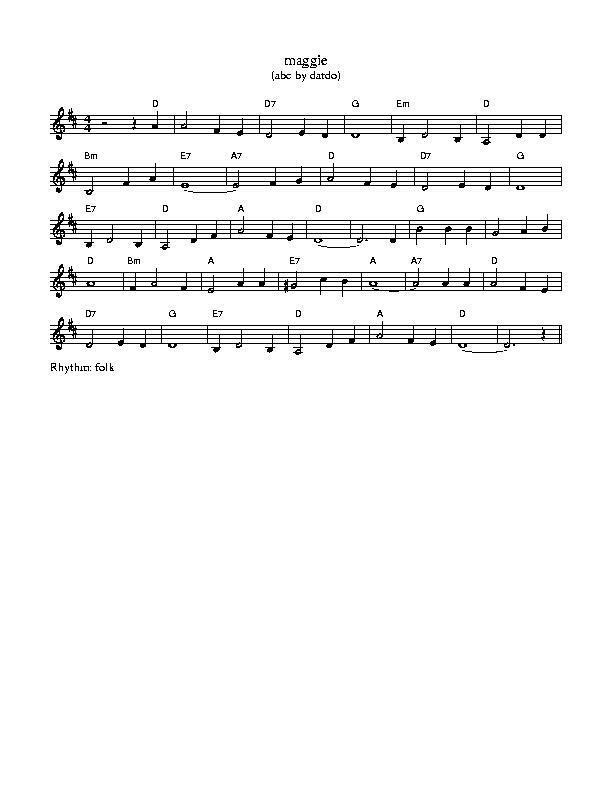 Maggie Sheet Music and tin whistle notation, recorded by Foster And Allen, Ronnie Drew, and by Johnny McEvoy with the song called ''Nora'' Maggie lyrics + chords . The banjo / mandolin notes are included along with the letter notes. Maggie letter notes. Lower case letters are the high ones.